Aquas, Inc. needed to arrive at a product name that would effectively position an application that manages ethics compliance in the healthcare industry. The product is a software-as-service (SAS) application, developed by Aquas, and co-marketed with a nonprofit organization that serves compliance officers in healthcare. Aquas was also looking for a broader way to deliver brand name and brand identity articulation that considered the competitive space, client/customer focus, and the strengths of the product/service. EurekaFacts used discourse analysis, competitor analysis, and product attributes to develop the messaging platform. A brand name was selected by Aquas based on qualitative research. A focus group was held with compliance officers to obtain greater customer insight and to observe the adoption of the application. Aquas selected ComplyCenter™ as the application name. 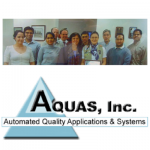 AQUAS has built years of experience focusing on results-oriented customized solution systems for case management, asset management, data and information, tracking systems, and inspection systems with compliance and valuable reporting in mind. ComplyCenter™ represents a collaborative effort between AQUAS, Inc. and the Compliance Resource Group, Inc. (CRG) to provide healthcare compliance officers a HIPAA compliant innovative software case management solution for identifying, qualifying, investigating, and monitoring healthcare compliance issues.